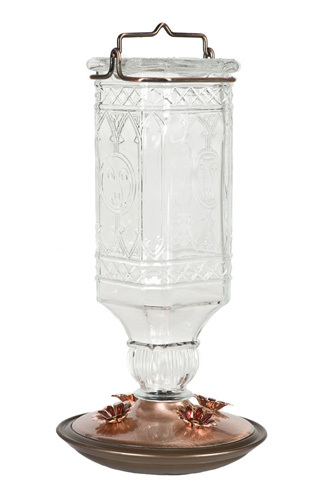 Clear Antique Bottle Hummingbird Feeder features a clear antique bottle and a brushed copper base. The hummingbird feeder is prettier in person. Thank you so much! I am sure my friend will love it.